Below are some case studies of our recent projects. 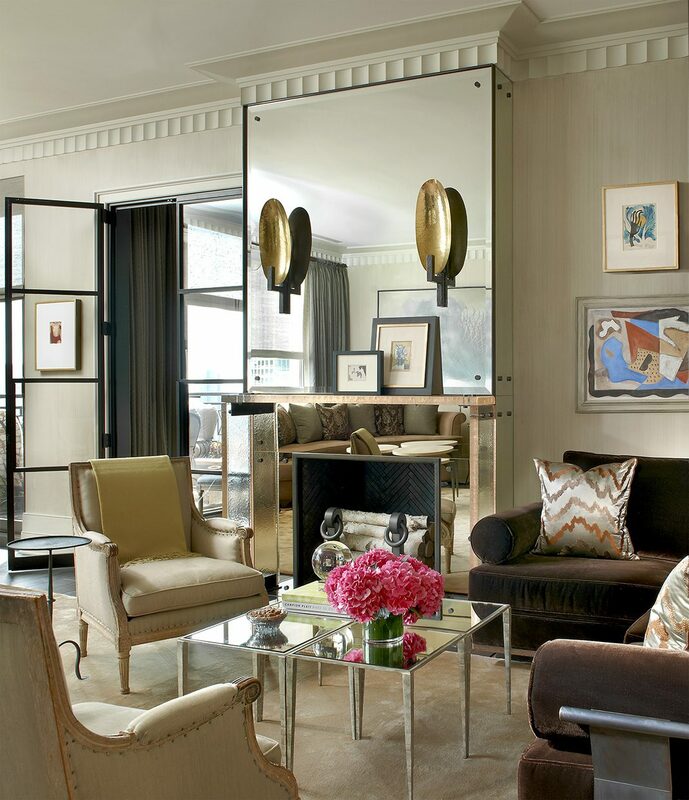 Interior Architecture & Design by Suzanne Lovell, Inc. Built by BGD&C, every inch of this new Gold Coast penthouse apartment was custom designed and engineered with the highest level of finishes in mind; a sophisticated space that exceeded the owner’s desire for a refined, luxurious condo, was the final result. The cast glass fireplace mantle, fabricated by Mattaliano, had to be coordinated with the mirror, which was made in California and installed by a local vendor. Architecture & Interior Design by Darcy Bonner & Assoc. 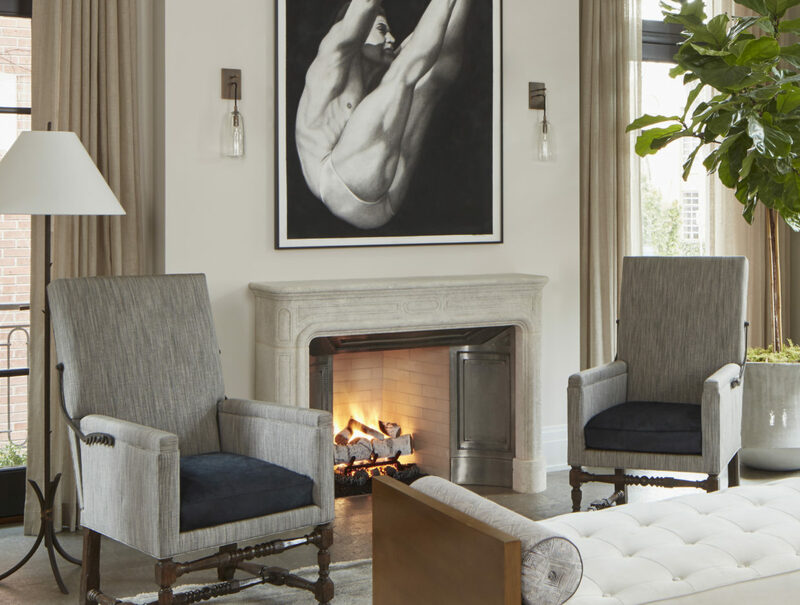 The Living Rm of this 12,000 square foot single family home in Lincoln Park was designed to be both formal and relaxed for intimate get-togethers as well as casual family time. The full height windows and transoms fulfill the client’s desire for an abundance of natural light. 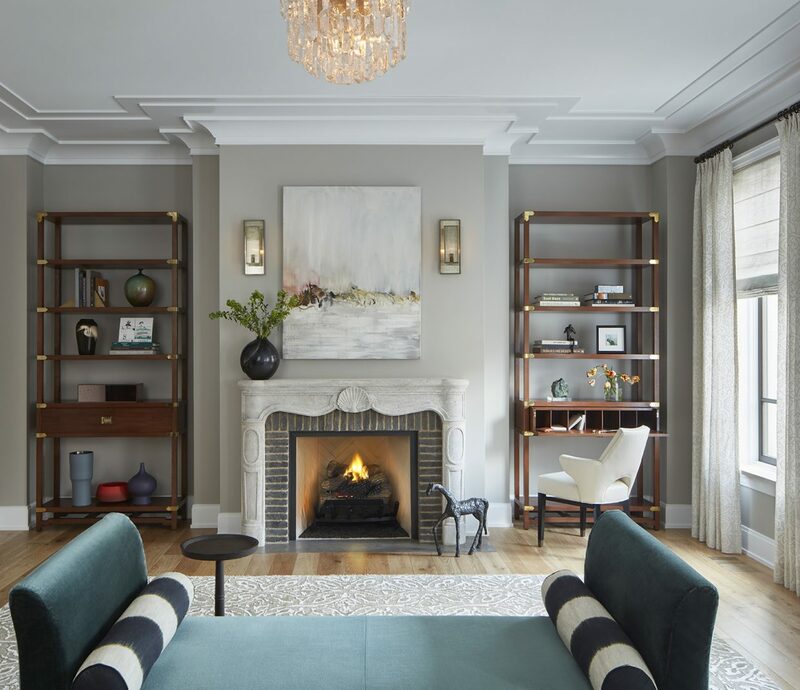 Chesney’s Contre Coeur interior fireplace metal panel with a custom mantel takes center stage in this sophisticated space. The fireplace in this luxurious master suite is about blending new with old. The fireplace surround is fabricated with reclaimed antique terra cotta bricks. The mantle is a new production made by Exquisite Surfaces. BGD&C Custom Homes engineered and fabricated a custom metal frame to hold up the firebrick surround in a way that maintained the aesthetic. 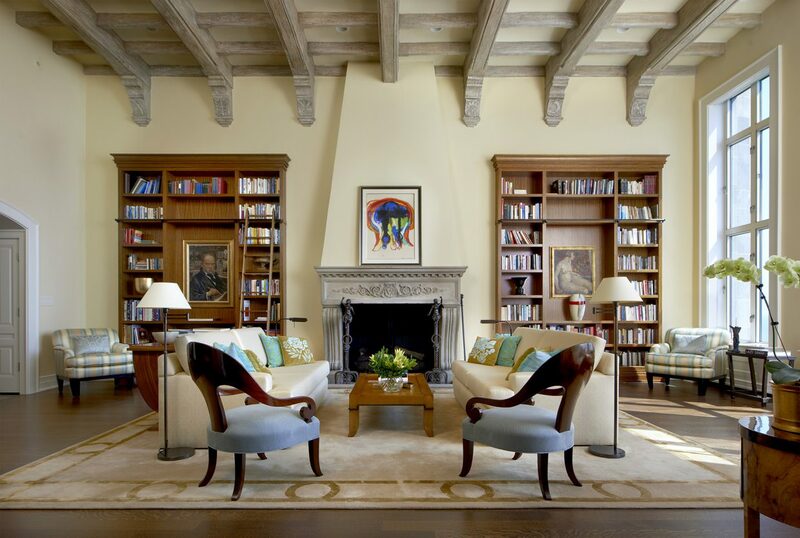 This library was paneled entirely with Butternut wood, including the fireplace, creating a warm and comfortable place to sit and read or a have a glass of wine. 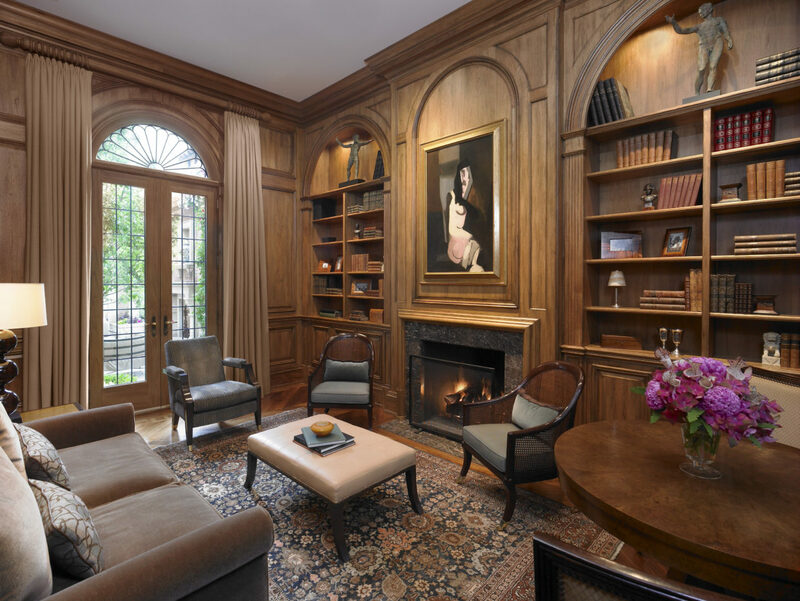 To achieve an immaculate amount of detail, we employed Parenti & Raffaelli to fabricate the millwork for the Library, where they built intricate decorative wood arches over the mantel to mimic the exterior window detail we destined and engineered. This 4500 square foot gut rehab in a 1926 vintage co-op on Lake Shore Drive was designed for a couple who spent time living abroad but wanted a home base in Chicago. When they purchased the condo, it was overrun with medieval architectural and design elements such as heavy beams, plaster and lathe walls, coat of arms, etc. BGD&C Custom Homes, along with the designer, transformed this historical space into a beautiful and gracious home. 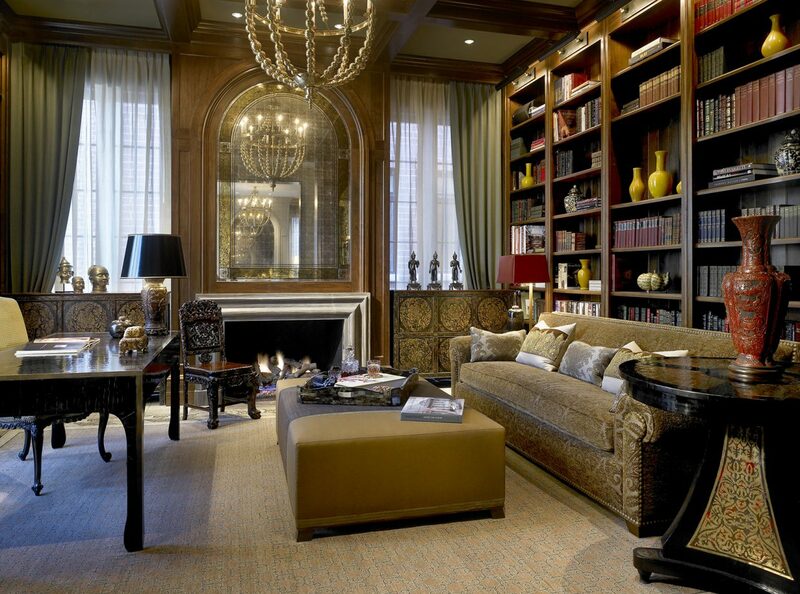 Interior Design by Scott Fortman of Gibbons, Fortman & Assoc.